ORION: Dino Beatdown got an original release date of Friday, April 20, 2012 for OnLive and Steam from its developer Spiral Game Studios. Well, that release date has been pushed back a good month to May 25, 2012 for OnLive. 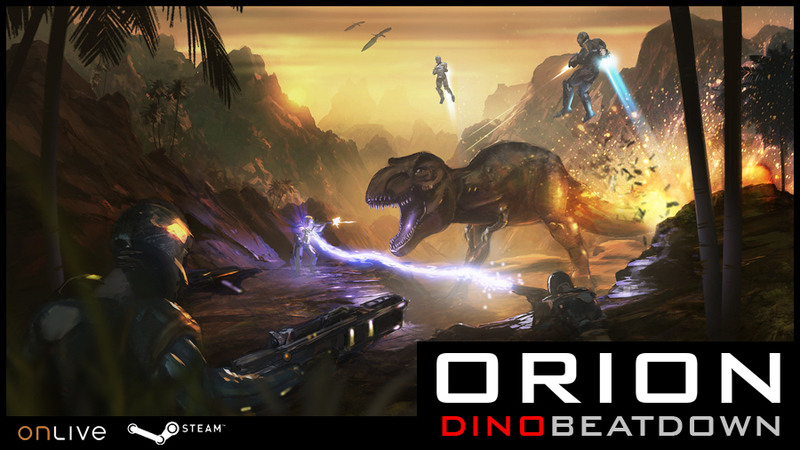 The price of ORION: Dino Beatdown will be $9.99 for OnLive and Steam. It is with a sad notion that we must announce a slight delay for the OnLive version of ORION: Dino Beatdown. We have been working feverishly these last few months in order to get this game out and in the last few weeks we experienced a few more problems than we would like. Given that we are a small indie developer we cannot be as stretched as thin as we’d sometimes like and in the end we had to make some hard choices. This is resulting in a 1 month delay for the OnLive version of the game. We are now targeting a release date of May 25th, 2012 and will continue posting updates regarding the game.